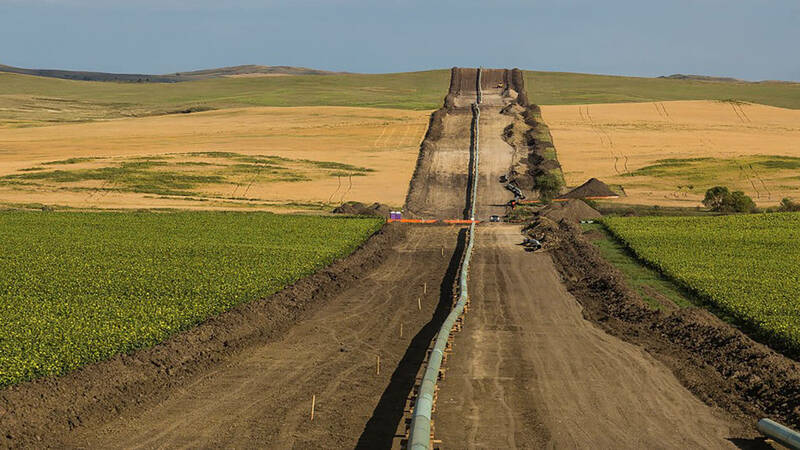 On April 4th, it was discovered that the Dakota Access pipeline had leaked 84-gallons of oil. The leak occurred 100-miles east of the Missouri River’s Lake Oahe reservoir, the source of drinking water for the Standing Rock Sioux Tribe. This entry was posted in News and tagged Dakota Access Pipeline, Dave Archambault, Energy Transfer, Last Real Indians, LRInpsire, matt remle, Standing Rock Sioux Tribe by lrinspire. Bookmark the permalink. America’s Government and Gas and Oil Corporate America, DAPL and Congress, Senate and Billionaires at Doing same thing to Our Native Families as England did to BlackWolf, Celtic Wolf and Scottish Stag. Enacting No just to Impact Our Families Water Source and Cause Our Native Families Environment to be so’s toxic to force Our Families to have to leave to Sustain Life. This Must NO happen! They’ve already driven Our Families from Black Hill’s! No this Is a Global Issue facing Native Cultures! Doing everything I’s can to get assistance from Environmentalist’s, Humanitarian’s and Peace-niks to help Our Families. See the Puppet, deregulated every Industry, Impacted EPA, Unrestricted so’s many thing’s see the Reality it was Preplanned before hand! Delusional Fascist Tyrant Puppet HITLER Trump!